Nora has had a touch of reminiscence her whole life. After her recent move to Boston for college, she meets two familiar strangers that turn her world upside-down. She is enlisted to help solve the mystery of an ancient text, and as her dreams and memories collide, she is pulled into a quest she never dreamed could be possible. Reminiscence is based on an old Platonic theory with a supernatural twist, and weaves in history, romance, and intrigue in an urban fantasy setting. It’s a Beauty and the Beast type fairy tale combined with a Fifth Element style myth! 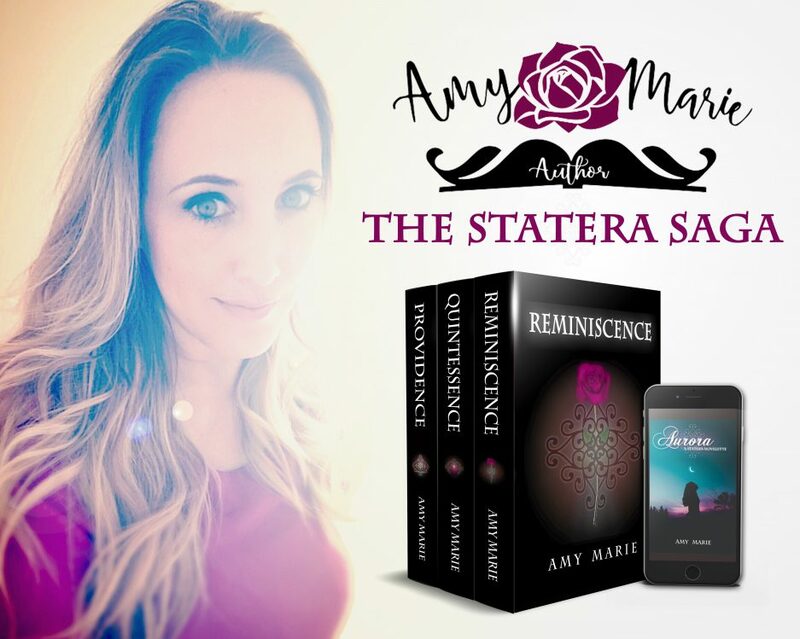 ⭐️⭐️⭐️⭐️⭐️ “Reminiscence by Amy Marie is the first book in the Statera Saga. Nora Hutchinson’s dreams are getting eerie, almost like memories of places she’s never been before. When a mysterious man saves her, the story he tells her is beyond insane: he was born centuries ago, and has been cursed to stay in the darkness. She knows in her heart that he’s telling the truth. As history relives through the present, Nora must join the charming Darcy in an ancient quest to find a book that holds the answer to saving the world from evil.